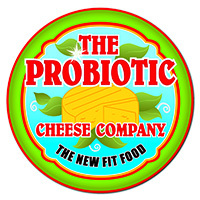 Contact The Probiotic Cheese Company Today! The success of The Probiotic Cheese Company is more than just the creation of a thriving cheese business. It is the heart, the passion and the true belief that everyone can become healthier and happier human beings by eating naturally nutritious foods. Probiotic Cheese Company wanted to make their probiotic cheese, made from pasteurized milk, a new healthier snack for children, pregnant women, diabetics, and athletes - basically, anyone that is interested in healthy food and becoming more fit. Thus, they call their probiotic cheese "the New Fit Food!" Cheese is a nearly perfect food, but it has lost most of its natural immune benefits due to pasteurization. By using nature's own way of enhancing our immune system, Probiotic Cheese Company is re-introducing the health benefits of live cultures into their delicious probiotic cheese. In bringing together the medical knowledge of Mark. 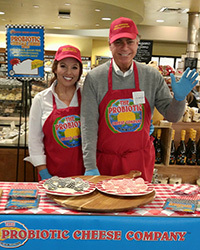 R. Windt, M.D., and the business expertise of Roxanne Barnes, MBA, and their shared love of cheese, they feel that The Probiotic Cheese Company begins a new revolution in health with the introduction of their first probiotic cheese. Mark and Roxanne remember the exact moment the idea of The Probiotic Cheese Company was created. They were at the Vermont Cheesemakers Festival in Shelburne, Vermont, in July of 2012. Hundreds of people were sampling many wonderful cheeses, but most of which were made from pasteurized milk and had lost the natural health benefits from living cultures. Mark said, "Cheese is a nearly perfect food, but because of pasteurization, the healthy natural probiotic cultures are destroyed. What if we can make a pasteurized cheese that is healthier by putting back the live probiotic cultures? Let's make Probiotic Cheese!" And so it began. After over 3 hard years of working with one of Vermont's best cheesemakers, Rick Woods, they finally created an incredibly delicious and extremely nutritious probiotic cheese, which they like to call the "New Fit Food!" Probiotic Cheddar Cheese Bites are delicious bite-size pieces of an award-winning Vermont farmstead cheddar cheese that contain probiotics infused into the cheese after pasteurization. So, they are safe for children, pregnant women, diabetics, athletes and individuals with gastrointestinal and/or immune deficiency problems. One ounce provides a full day's worth of probiotics. They are sugar-free, lactose-free, carbohydrate-free, trans fat-free and high in protein. The probiotics are patented and non-GMO-certified. They are encapsulated in spores, which are not released until they reach your gut, which results in much higher absorption. Flavors available are Regular Cheddar and Savory Pepper.